It was a bad night for the Charleston Rainbows and a bad night for Rainbow second baseman Jose Mateo. Mateo's Charleston Rainbows couldn't get anything going against their Spartanburg Phillie foes in this April 1990 contest, losing by a score of 12-2, according to The Spartanburg Herald-Journal. Mateo's night wasn't much better. Batting in the ninth spot, Mateo got four at bats for Charleston. He recorded no hits, according to The Herald-Journal box score. 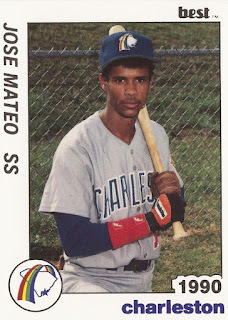 Mateo was in his first season as a pro that year for single-A Charleston. He got into one more. He never got higher. Mateo's career began that season, signed by the Padres the previous October as a free agent out of his native Dominican Republic. In that first season for the Padres, Mateo got into 20 games for Charleston. He also got into five games back in the rookie Arizona League. Between them, he hit just .159. In his 10 hits, he knocked one home run. The home run was a solo shot because he only recorded one RBI. 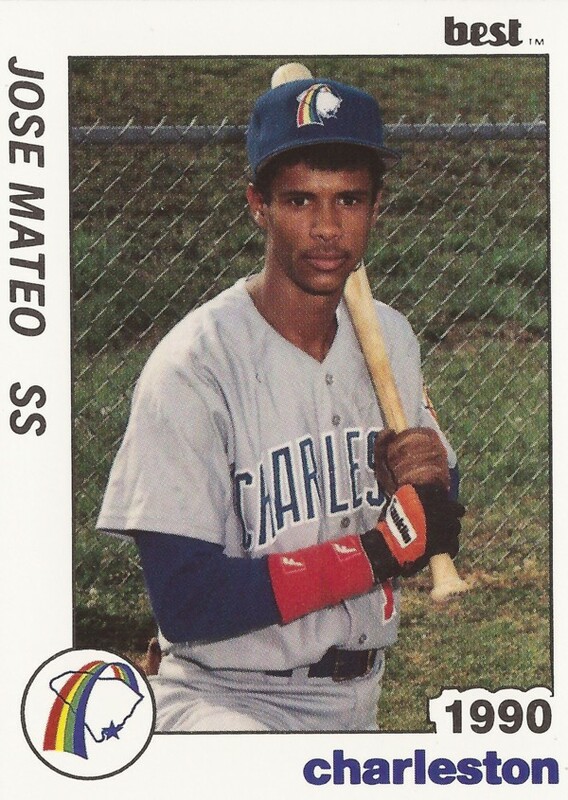 For 1991, Mateo returned to single-A and Charleston. But he got into just 12 games. He picked up a single hit in 11 at bats. They were the final 11 at bats of his professional career. In all, over two seasons, Mateo got into only 37 games and hit just .149.